Most of us have been affected, one way or another, by alcoholism. The problem is quite apparent in western societies, and unfortunately, it’s not an easy problem for either the alcoholic or those that they love to manage. This is, in part, because there are so many different causes of alcoholism. Any condition with such a wide range of causative factors can become widespread quite quickly. If more people become informed about what causes alcoholism, then more people will be better prepared to help prevent the problem from arising. If you think that you or someone you know might be developing an alcohol problem, it’s important that you seek alcoholism treatment or professional help. One might wonder why some people are able to have a few drinks one night and remain largely abstinent from the bottle, while others are quick to develop a serious problem with drinking. This is a complex issue because there are many reasons for alcoholism – the condition arises as a result of a combination of psychological, emotional, environmental, cultural, social and genetic factors. Identifying risk factors as soon as possible is an important part of preventing alcoholism. It’s also important to know about the repercussions that alcohol abuse causes. Alcoholism can negatively impact a person’s personal growth and can lead to the emergence of mental health problems like depression and anxiety. Alcohol abuse can also distort an individual’s self-image and lead to insecurity. Many alcoholics find that their family and social life suffer as a result of their addiction. Alcohol abuse tends to make a person emotionally unstable, which can make it difficult for them to maintain healthy relationships. Serious alcoholics will have a difficult time finding or maintaining serious employment. Many employers are able to tell when an applicant is suffering from an addiction, and these applicants are typically not accepted into the job. Alcoholism is a barrier towards receiving a good education. It can be difficult to maintain focus and be punctual when an individual needs to make sure they have a drink in the morning just to avoid withdrawal symptoms. Once you understand the potential danger of drinking alcohol, it’s important to identify the most well-known risk factors that can lead to alcoholism. There are several different risk factors involved in determining whether a person is likely to develop a problem with alcohol. Everyone will have a certain number of risk factors, and the more risk a person faces in their daily lives, the more likely they are to develop a dependency on alcohol. There has been much debate as to whether or not genetics can actually be considered as one of the causes of alcohol abuse. A growing body of scientific research suggests that people born to parents who struggle with alcoholism are much more likely to develop the condition themselves. The National Institute on Alcohol Abuse and Alcoholism has spearheaded enough research to prove that alcoholism isn’t simply a result of environmental factors. The transmission of a certain gene known as the DRD2 gene has been associated with an increased risk of alcoholism, though it is yet to be identified as a definite cause of the problem itself. The general consensus of studies done on the impact of family and alcoholism have revealed that those who are born to alcoholic parents are more likely to develop alcohol problems themselves for several reasons. They are more likely to possess the DRD2 gene which is linked to alcoholism. Direct descendants are up to four times more likely to develop this gene than second-generation family members or cousins. People born to families with a history of alcoholism are more easily exposed to unhealthy environments that can lead them to develop behavioral problems and mental instability, two things which can easily contribute to the development of alcohol problem. Conducting a stressful life, or frequently being subject to stressful environments, can be a cause of alcoholism. This can be observed in the high frequency of professionals suffering from alcohol abuse – doctors or police officers, for example, who often struggle with difficult daily tasks, may find themselves more likely to unwind with a drink or two at the end of the day. This isn’t inherently bad. However, it’s all too easy for an evening drink or two to become a nightly ritual. 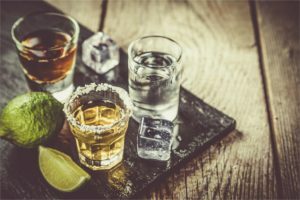 Developing any habit regarding a potentially dangerous activity should be an obvious warning sign, and this is certainly one of the most common reasons for alcoholism. Studies have shown that people who begin drinking at an early age are more likely to develop alcoholism. The younger mind is more susceptible to addiction because it has not developed the proper coping mechanisms for handling stressful situations. This makes a youth more likely to use alcohol as a crutch instead of developing healthy alternative solutions to their problems. Furthermore, the longer a person drinks, the more time they have for the body to build up a tolerance to alcohol. The more tolerance a person develops, the more alcohol they have to consume for a buzz and the more likely they are to develop a serious addiction. It’s no secret that unstable mental health can be cause for alcoholism. This is particularly true with younger people. Those who suffer from problems like anxiety, depression, or anger may find it easier to turn to the bottle than it is to work on their problems. In this case, what causes alcohol addiction is the individual’s understanding of alcohol as a band-aid solution for their negative feelings. 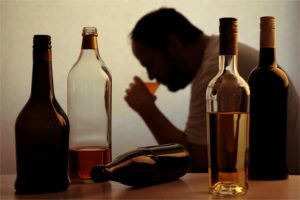 When one finds relief in alcohol instead of seeking solutions or medical help for their problems, they enter a cycle of self-medicating that usually results in dependency. Suffering from alcoholism alongside another mental health problem is known as comorbidity. It’s important for both physicians and patients to recognize comorbidity so they can seek treatment not only for the alcohol addiction but for the underlying mental health problems that led to the addiction in the first place. There are many medications that do not combine well with alcohol. Unfortunately, not all physicians warn their patients properly about the potential dangers of combining medications with alcohol. While many prescriptions clearly state that they are not to be taken alongside alcohol, others are contraindicated to a lesser degree and don’t always provide warnings on the labels. Some drugs can enhance the acute or toxic effects of alcohol and make a person more intoxicated. This can not only make them more likely to depend on alcohol for a buzz, but can lead them down the road of poly addiction. They may find that they’re unable to feel the benefits of their medication without alcohol, and they may feel that alcohol is no longer enjoyable if they drink without taking their medication. There are many environmental factors that can have an impact on an individual’s desire to drink. It’s important to identify social, cultural, educational and psychological causes of alcohol abuse that may arise in daily life. Someone who surrounds themselves with others who drink is more likely to decide to have a drink themselves. Even if they don’t have many other risk factors for developing an alcohol problem, the constant temptation and availability of liquor may influence them in a negative way. Some societies are more open and accepting of alcohol use. People who are raised in these cultures are much more likely to end up with an alcohol problem. Likewise, someone who moves to an alcohol-friendly culture may find themselves presented with new temptations while lacking the necessary skills to refuse a drink if offered. An individual’s educational situation may impact their drinking habits. Someone who is unhappy at school, for example, may develop depression or anxiety and turn to the bottle as a reprieve from the daily stress and anxiety that they feel. Others may want to fit in with the social group at their school. If their preferred social group likes to drink, they may feel pressured to do so themselves. It’s important for both patients and physicians to know the causes and effects of alcohol addiction. Knowledge is the most important preventative measure for someone who finds themselves at risk for developing alcoholism – this allows them to be more aware of the potential dangers of their lifestyle so they can avoid any situations that might encourage or influence them to have a drink. It’s also important to know what alcoholism can do. 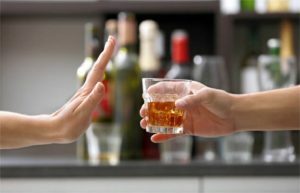 Understanding the way that alcoholism causes problems to arise in family, social, and work life can be a big deterrent for someone who is considering whether or not they should begin drinking. If you think that you or someone you love is at risk of developing an alcohol problem, it’s important that you seek help at a rehabilitation facility or from an addiction counselor.